Just over a month ago, I posted this bracelet and said I would post more later. Well, it's later! 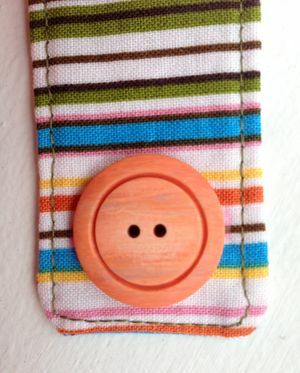 Day 13 of the June Challenge is to craft something with stripes. 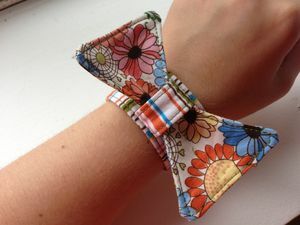 I've been wanting to write a tutorial for this bracelet (cuff?) for a while, and thought I could make one with stripes to use for the challenge! 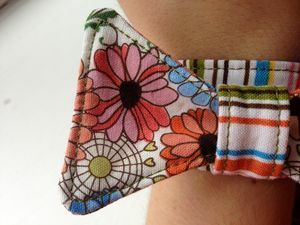 I was inspired to make a fabric bracelet because I saw a leather version on a daily deals site, and knew I could make one, completely out of fabric. I wrote up a little tutorial, in case anyone wanted to make one themselves. And if you make one, be sure to post your link in the comments! These are the measurements I used, I have a small wrist so something larger than this size is overwhelming. 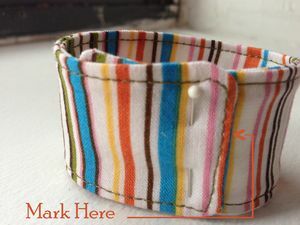 For the wristband: Measure around your wrist, and add 2". This is the length of the band. The height is 2". 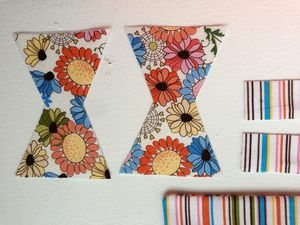 For the center of bow: Cut two strips 1" x 4"
Step 2: Interface all pieces. 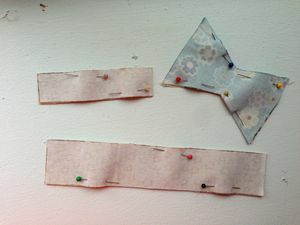 With right sides together, pin all of the same pieces to each other. 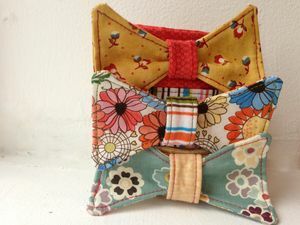 Sew pieces. 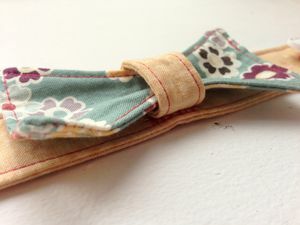 Leave one side of wristband and one side of bow center open to turn inside out. Leave side of bow open to turn. Step 3: Turn all pieces inside out. Fold raw edges in and iron flat. Top stitch all. 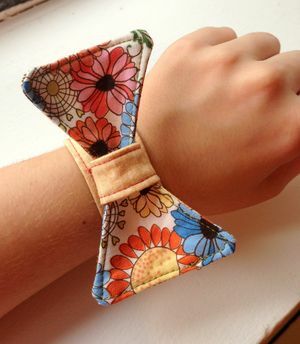 Step 4: Place wristband over your wrist and measure the overlap to where it feels comfortable on your wrist. Mark where this overlap lands. Save this mark for later. 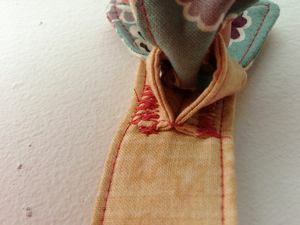 On the end that faces the outside, mark where your button hole will go. 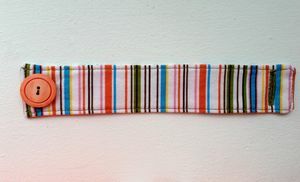 (You can see on the striped fabric this end has an orange stripe). My button hole started a half inch down from the end, depending on the size of your button, this measurement will change. 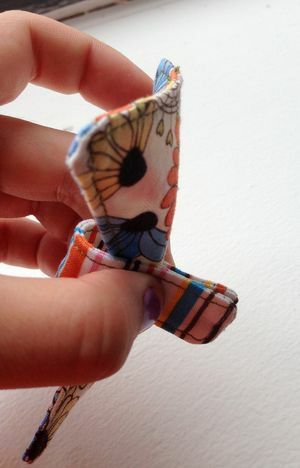 Open button hole with seam ripper. 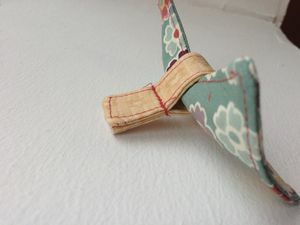 Line the end with the button hole up with the mark you made earlier. Mark where your button will need to be sewn. 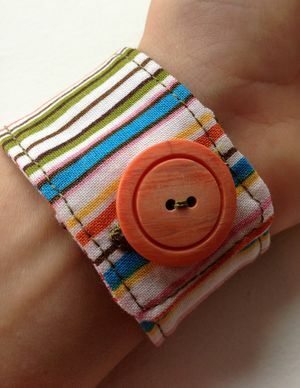 Sew button on other end of wristband. 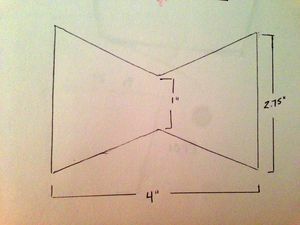 Step 5: Take the center bow piece and wrap it around the bow. Pinch center leaving only a little space for the bow to move. 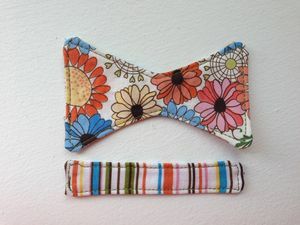 Sew the ends of the bow center together. Step 6: Cut the ends off, but leave just over 1/4" left. 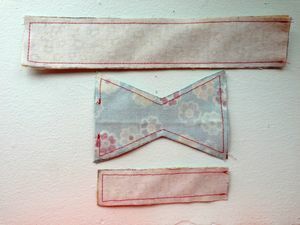 These raw edges will be sewn to the center of the wristband. 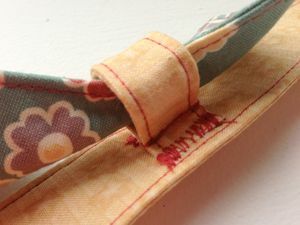 Much like when you iron open a seam, this is what you will do to the raw edges and pin each end down to the wristband. 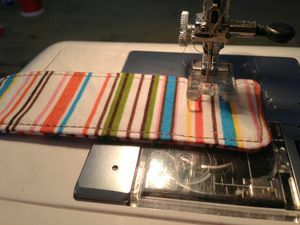 I did a zig-zag stitch to make it secure. 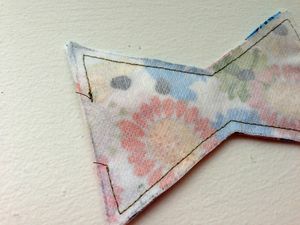 Step 7: Flatten center bow just a bit and hand stitch the the bottom down. 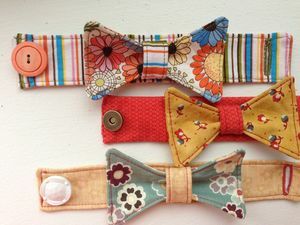 And if you make a whole bunch of bows, you can swap them out on the wristbands! Previous Post Day 12: Mediums and Sports.